Parents who lost custody of three of their children pursuant to wardship and return orders made in England and enforced by orders of the High Court have successfully appealed against a later decision which held that their right to appeal was out of time. Stating that purported service of the notice of enforcement was “drained … of any validity” when over ninety pages of documentation was withheld from the parents, Ms Justice Máire Whelan allowed the appeal and remitted the matter for reconsideration in the High Court. CE is the mother of three children, all of whom she lost care and custody in September 2017. Throughout the judgment, the children were referred to pseudonymously as Mella (aged 6), Stella (aged 4), and Ross (aged 14 months). The Court heard that CE was the victim of domestic violence by a former partner, whom she separated from in 2016. In late 2016, CE entered into a relationship with NE and they married in 2017. Prior to September 2017, CE, NE and the three children were habitually resident within the jurisdiction of England and Wales. In June 2017, Hampshire County Council (HCC) obtained an interim care order in relation to Mella and Stella, conferring parental authority on HCC and, inter alia, prohibiting their removal from the jurisdiction. The girls were left in the care and custody of CE and NE, and Ms Justice Whelan said that it was noteworthy that the CAFCASS guardian charged with ensuring HCC decisions were made in the best interests of the children, disagreed with the HCC’s proposal to place the two girls for adoption. Ross was born on 3 September 2017, and within 24 to 48 hours of his birth, social workers informed CE of their intention to remove all three children from the couple. On 5 September 2017, CE and NE travelled to Ireland with the three children. The Court heard that they immediately disclosed their presence to relevant authorities. The family was monitored by the Child and Family Agency (CFA), and a social worker with the CFA swore an affidavit confirming that a welfare check in respect of the family on 7 September 2017 advised that no concerns were noted in relation to the children’s presentation or their home environment. On 8 September 2017, HCC instituted wardship proceedings in relation to the three children before the Family Courts in Portsmouth. The HCC procured orders making all three children wards of court together with orders directing their return to England. In the High Court on 21 September 2017, pursuant to the Brussels II bis Regulation, Ms Justice Eileen Creedon made ex parte orders recognising and enforcing the orders made in Portsmouth. Thereafter, all three children returned to the UK accompanied by social workers. CE and NE remained in Ireland. Ms Justice Whelan said that there was no evidence before her that the solicitor acting for the parents in England was served with the relevant documentation relied upon to secure the wardship orders and return orders, and the parents were not served with the papers notwithstanding the HCC’s knowledge of their whereabouts in Ireland at the time. Notably, over ninety pages of relevant material was withheld from the parents when the notice of enforcement was served on them on the 22 September 2017. On 24 November 2017, the parents issued a motion by way of appeal under Article 33 of the Brussels II bis Regulation, seeking, inter alia, an order setting aside the ex parte orders of Ms Justice Creedon. Article 33(5) of the Brussels II bis Regulation states that an appeal against a declaration of enforceability must be lodged within one month of service, or within two months if the party against whom enforcement is sought is habitually resident in a different member state. Extensions of time cannot be granted on account of distance. 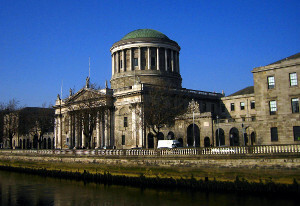 In the High Court in January 2018, the HCC submitted that ‘the service on the parents of the copy order and enforcement order simpliciter on Friday 22nd September 2017 caused time to commence running for the purposes of an appeal against the decision of Creedon J’, and therefore their appeal notice of motion was issued out of time. Proceeding on the premise that the appeal had been brought out of time, Ms Justice Leonie Reynolds held that she had no jurisdiction to extend the time to bring the appeals. Two separate requests for preliminary rulings pursuant to Article 267 of the Treaty on the Functioning of the European Union and two extensive judgments of Mr Justice Gerard Hogan (in May 2018 and June 2018). A judgment of the CJEU delivered 19th September 2018. Notably, Advocate General Kokott opined that the parents had not received relevant documentation and said that this could have an impact on the starting point of the period for lodging an appeal. Ms Justice Whelan said that the withholding of documentation which was intrinsic to an understanding of Ms Justice Creedon’s ex parte orders ‘drained the purported service of any validity’ for the purposes of Order 42A, rule 10(2) of the Rules of the Superior Courts. Stating that there was ‘complete harmony between the national and Union law on valid service’, Ms Justice Whelan said that CE and NE were precluded from any possibility of being aware of the content of the decision, and more particularly of the reasons for the decision. As such, Ms Justice Whelan held that the order was not validly served on 22 September 2017 for the purposes of the commencement of time running pursuant to Order 42A or Article 33(5). Ms Justice Whelan said that valid service was not effected on CE and NE prior to Monday 25 September 2017, therefore the notice of appeal was served within time on 24 November 2017. Allowing the appeal, Ms Justice Whelan remitted the matter to the High Court for urgent determination of the substantive appeal with priority.